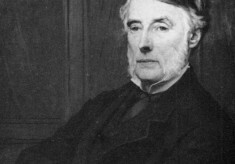 The famine of 1879 – 1880 is sometimes described as the last major Irish famine. 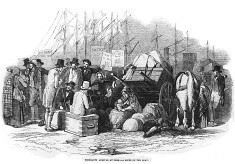 In contrast with earlier subsistence crises, effective intervention, including assisted emigration, meant there was little excess mortality, even in badly affected areas such as Connemara and County Mayo. 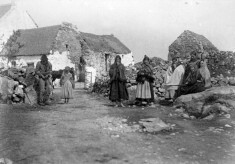 The Mission of the Tuke Emigration database is to digitalise and make available the stories of the people of Connemara, Belmullet, Achill and Swinford and the descendants of those who emigrated under the assisted emigration schemes initiated by the philanthropist, James Hack Tuke, between 1882 and 1884 when 9,500 people had their passage paid to North America. 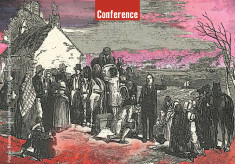 It aims to document the people who left, where they came from and what happened to them in the United States and Canada; while at the same time demonstrating the impact which the exodus had on those who remained in Connemara and Mayo. 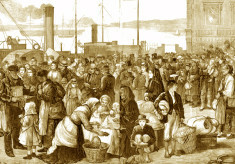 It is hoped that the database will help the descendants of the emigrants in North America to engage with their relations and the communities in the west of Ireland, and that their shared experiences will re - establish a bond between the Connemara and West Mayo areas and those areas in the United States and Canada where the emigrants settled. 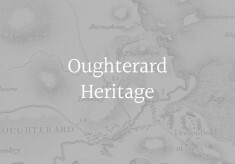 This is the start of a process which will strengthen the connection between the descendants of the emigrants and the home place of their ancestors.